The inspiration came from all buildings that have been seen, studied or visited. Brazil is going through a crucial moment in the international scenario. Both the World Cup 2014 and the Olympic Games in 2016 requires several changes throughout the country but particularly in Rio de Janeiro. Aiming at the requirements of these events, the project presented is originated from the mixed use: a convention center, a hotel, a business center, shops and apartments. 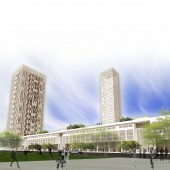 All the aspects are very well integrated by the public square wich is the main feature of this project. It invites the public space into the private building and so it becomes an open block. Unique within a chaotic environment. The Project started in August 2011 and finished in December 2011. 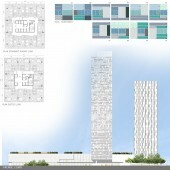 The project is mainly composed by a reinforced concrete structure with columns distributed in a grid 8x8 meters. The main feature concerning technology and materials is the hotel facade. Made with panels 3x4meters that are fixed in the concrete structure contains 10 different types of panels arranged in a random order. Each facade is different in relation to its orientation and exposition time to sunlight. Regarding all the panels, there are 10 different types in wich were created 16 different frames. This way, it is possible to create a different design throughout the whole building. High-Rise Structures: Porto Rio De Janeiro Mixed Use Structure by Paula Werneck Arquitetura is a Nominee in Architecture, Building and Structure Design Category. 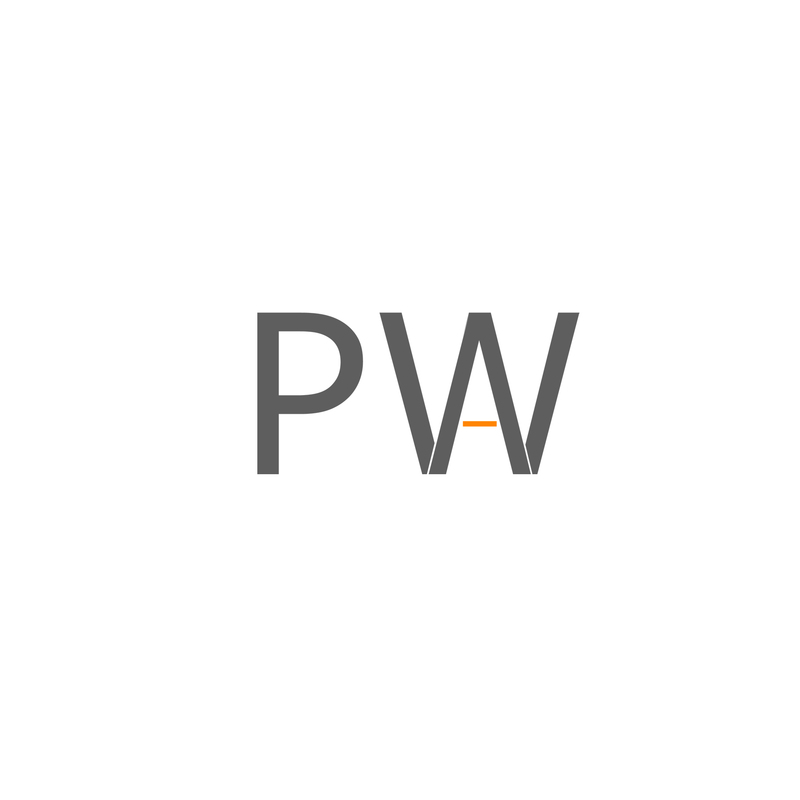 · Click here to register today inorder to be able to view the profile and other works by Paula Werneck Arquitetura when results are announced. 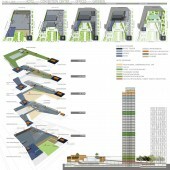 High-Rise Structures: Porto Rio De Janeiro Mixed Use Structure by Paula Werneck Arquitetura is Winner in Architecture, Building and Structure Design Category, 2011 - 2012. · Read the interview with designer Paula Werneck Arquitetura for design High-Rise Structures: Porto Rio de Janeiro here. · Press Members: Login or Register to request an exclusive interview with Paula Werneck Arquitetura. 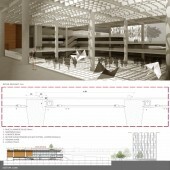 · Click here to register inorder to view the profile and other works by Paula Werneck Arquitetura. Did you like Paula Werneck Arquitetura's Architecture Design? 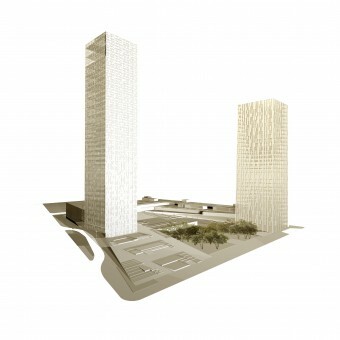 Did you like High-Rise Structures: Porto Rio De Janeiro Mixed Use Structure? Help us create a global awareness for good architecture design worldwide. Show your support for Paula Werneck Arquitetura, the creator of great architecture design by gifting them a nomination ticket so that we could promote more of their great architecture designs.